AngularJS is a Swiss Army knife for the Data agnostic UI. So it is exploited to its full potential in apps with large amount of data. 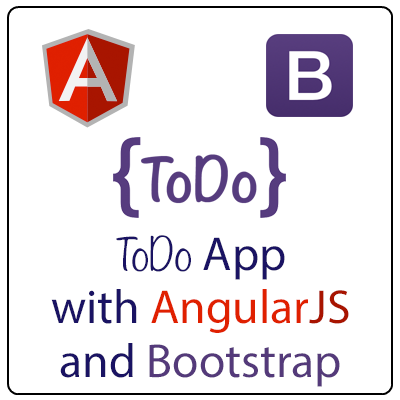 To show this lets see a simple ToDo App with Bootstrap and AngularJS. Here in this simple ToDo app; we are using Bootstrap for quick UI elements and AngularJS for data and behavioural purpose. 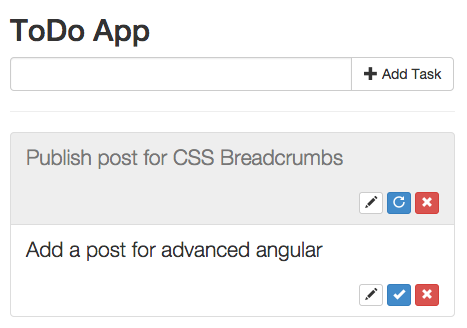 A basic guide on bootstrap is available here. Mark any task status as complete or incomplete etc. Now for these use cases we will have a basic angular application and controller which will handle all the functionality of out ToDo App. In HTML; we will have a form to add and edit the ToDo tasks and a list to see the tasks and mark them as complete (or incomplete). Now lets make it work together. So to handle ToDo list we are using array of ToDo Objects where each object will have its properties like done, name etc. And the form will have a handler function to add ToDo object to the array of ToDo tasks. Following is the AngularJS code for the handling of form. You can see the working demo of this app by going to the demo link; and you can download the files. Please share your comments/problems/experiences with us.